Oracle Return target card from your graveyard to your hand. 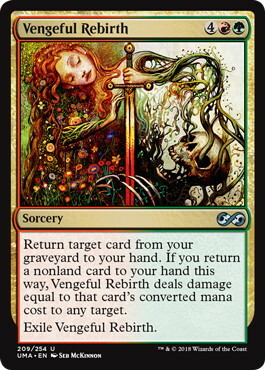 If you return a nonland card to your hand this way, Vengeful Rebirth deals damage equal to that card's converted mana cost to any target. Exile Vengeful Rebirth.